Through its F-Sport trim and its stunning coupe lineup, Lexus has undoubtedly been gnawing away at its more senior brand image. There’s no more-obvious example of this attempt at youth than a GS 300 F-Sport dressed in the brightest of blue hues, packing a flashy red interior. Despite its bold visuals, this F-Sport is more show than go. 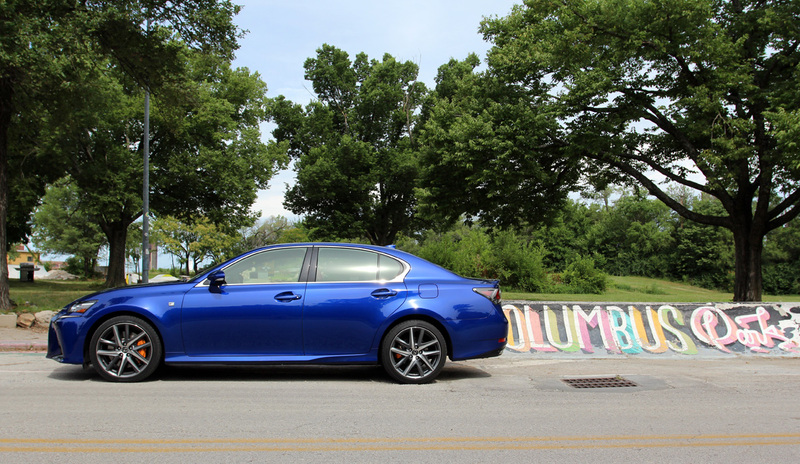 When Lexus dropped off this tester, its Ultrasonic Blue Mica paint nearly knocked us down. A closer inspection yielded orange brake calipers and a red interior; a collective bold assertion for a midsize luxury sedan from any brand. Memories of a fairly senior family friend driving a second generation GS in the late 1990’s quickly dissipated in favor of this Uncle Sam themed GS resting ahead. Not only did its bright flare make a statement, but also its sharp lines and angry looking triple beam LED headlights. The reaction highlights exactly why the Lexus brand has been putting more emphasis on being bold. Under the direction of Toyota Chairman Akio Toyoda himself, propagating passion through the organization all the way down to the GS’ redesign in 2011. It’s a redesign that kept most of the sheetmetal unchanged from when the GS transitioned to the Toyota N platform back in 2005, but afixed the brand’s now trademark spindle grille and aggressive stance. Lexus has opted to keep the GS design fairly consistent since 2011, with only minor modifications in an attempt to keep the most current family face intact. Oddly, the hodge-podge of old and new in the canvas seems to work; the GS is an attractive sedan that still looks like it belongs in 2018. In more than a few instances, onlookers confused our tester with the more athletic IS. What is new for 2018 is the reincarnation of the GS 300 badge. Prior to 2018, this car was known as the GS 200t, a leading indicator for buyers that this version of the car is packing a 2.0-liter four-cylinder instead of a V-6 or V-8 offering. Lexus opted for the name-change to unhighlight the four-cylinder and provide more consistency with the rest of the GS lineup, which ranges from 350 to 470. Pulling the turbocharged 2.0-liter away from the stoplight may not be a bad idea because this is one weak spot on the GS 300. Rated at 240 horsepower and 260 pound-feet of torque, its credentials are respectable on paper and not out line from those of German rivals. However, in application this engine pales in comparison to just about every other 2.0-liter turbo on the market. Off-the-line performance is met with a severe turbo lag as the turbocharger spools up; once the engine is spinning at 1,600 rpm, the car decides to finally move. Once the engine is in its peak torque range, the fairly large GS begins to feel spirited. As an organization Toyota has lagged when it comes to turbocharging (pun intended) and their inexperience with forced induction is readily apparent with this attempt. Get behind the wheel of a Mercedes-Benz 2.0-liter turbo or even a Cadillac with GM’s 2.0-liter and the Lexus’ weakness glows as bright as our tester’s paint. Despite the lag, the engine does not lack in audible refinement. Once spooled up, it sounds as sophisticated as one would expect a Lexus engine to sound. It also works in tandem with an eight-speed automatic transmission that does a good job at keeping its rev range centered where the most torque is on tap. Subsequently, shifts are always butter smooth and in sync with spot-on programming that yield decent performance and excellent fuel economy. Literally, the combination inspires some degree of confidence from the driver; there’s always enough power to achieve respectable mid-range acceleration, something that comes of little shock given the big GS’ relatively light curb weight in the high 3,000-pound range. The mass efficient chassis is actually one of the sweet spots with this sedan. It’s a nimble car with its high-end aluminum suspension setup and a steering rack that provides a nice balance between feedback and weight. That said, Lexus’ steering still feels over-assisted in Sport+ mode when compared to German rivals, but for this car it’s not a deal-breaker by any stretch. The entire driving experience with the GS 300 provides no-fuss, with an air toward comfort versus sport, which is befitting despite the F-Sport badge. Perhaps ironically, one of the most aggressive aspects of the GS 300 is its braking. The F-Sport package brings 14-inch front rotors with four-piston calipers; more than enough to stop the GS abruptly. They have a strong initial bite and really give the driver a lot of control with great pedal feedback. 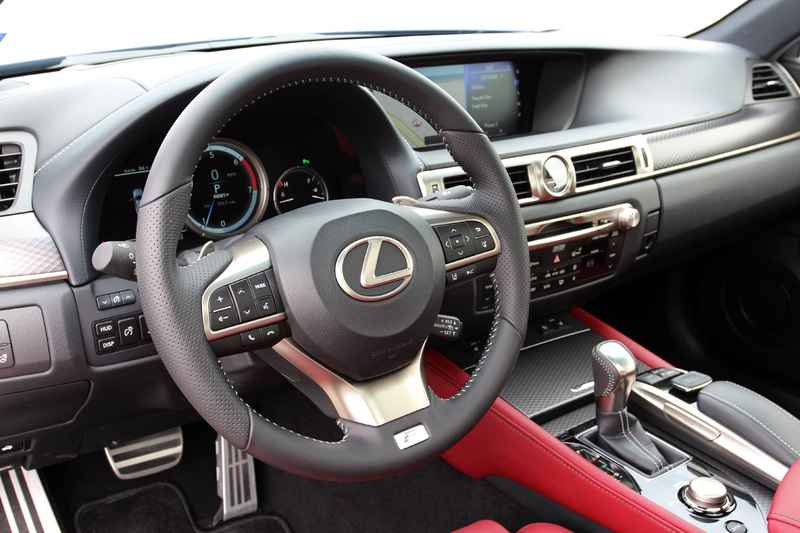 When not focused on driving dynamics, it’s easy to focus on the interior of the GS. In typical Lexus fashion, the innards of our tester served as a comfortable sanctuary for five who wished to rest atop the stylish red leather seats. The red served as a nice counterbalance to an interior design that is somewhat conservative, but ergonomically sound and spacious for a midsize sedan. Rear seat passengers are enveloped with comfortable seating, HVAC vents and an optional power rear shade. Like every new Lexus, the GS 300 sports Enform, Lexus’ infotainment system. The thesis of Enform is its touchpad controller that uses adaptive haptic feedback to guide the user through feel as to where the cursor is on the screen. While complex to explain, the approach is one that becomes really intuitive over time and proves to be a valid navigation method for the massive 12.3-inch display. This system also drums up the age-old debate as to whether or not giving buyers the option to have a touchscreen with the touchpad control is worthwhile; we’d say yes. Our tester was also packing a few upgrades over the base GS, including a color heads-up display system and a superb Mark Levinson surround sound system with 17 speakers and 825-watts. The sound system proves the perfect companion for the otherwise quiet cabin, while optional ventilated front seats kept things cool in the Midwest summer heat. While the option list is long on the GS, it is missing features such as a power trunk deck, oversized sunroof option and 360-degree camera system. 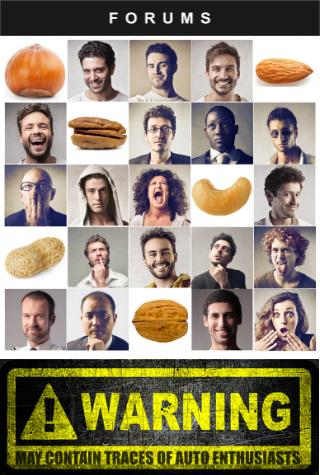 Each of these features is commonplace amongst competitor offerings. The omission of a couple higher-end features can be overlooked by most buyers in this segment, but the 2.0-liter turbo found in the GS 300 cannot be masked by the car’s name-change. It’s a bit of a black-eye on an otherwise very competent, fun-to-drive midsize luxury sedan. The silver lining? For those still wanting a three-box midsize sedan, Lexus also offers very competent V-6 and V-8 engine offerings, which are far better fits for the GS. Despite not loving the car in this form, it still sounds competitive with the equivalent BMW 530 -- see Motor Trend's long term review verdict. They also find the BMW's turbo four less than an ideal partner, but at least the Lexus offers a nimble, responsive chassis. [URISP id=15549]Through its F-Sport trim and its stunning coupe lineup, Lexus has undoubtedly been gnawing away at its more senior brand image. 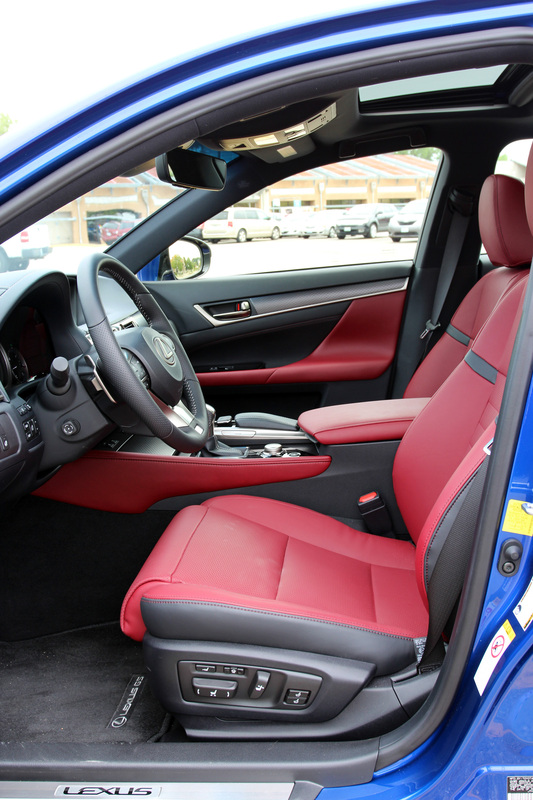 There’s no more-obvious example of this attempt at youth than a GS 300 F-Sport dressed in the brightest of blue hues, packing a flashy red interior. 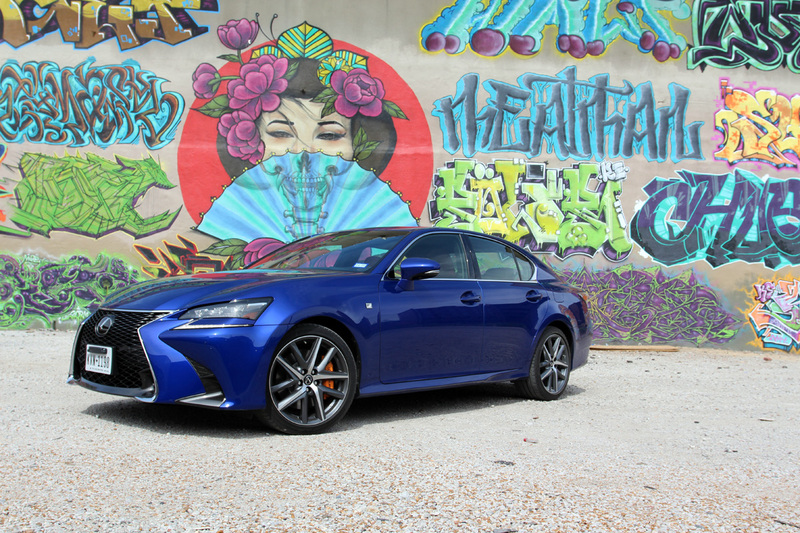 Despite its bold visuals, this F-Sport is more show than go.BOLD FIRST IMPRESSIONWhen Lexus dropped off this tester, its Ultrasonic Blue Mica paint nearly knocked us down. A closer inspection yielded orange brake calipers and a red interior; a collective bold assertion for a midsize luxury sedan from any brand. Memories of a fairly senior family friend driving a second generation GS in the late 1990’s quickly dissipated in favor of this Uncle Sam themed GS resting ahead. 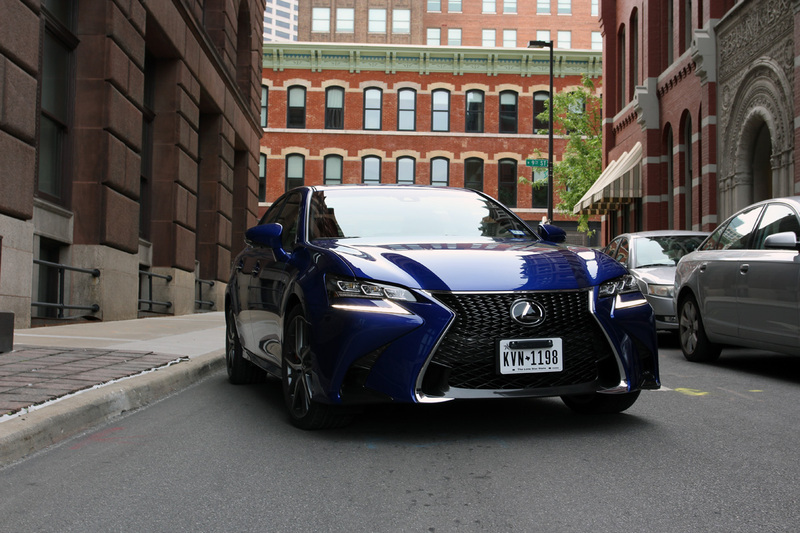 Not only did its bright flare make a statement, but also its sharp lines and angry looking triple beam LED headlights.The reaction highlights exactly why the Lexus brand has been putting more emphasis on being bold. Under the direction of Toyota Chairman Akio Toyoda himself, propagating passion through the organization all the way down to the GS’ redesign in 2011. It’s a redesign that kept most of the sheetmetal unchanged from when the GS transitioned to the Toyota N platform back in 2005, but afixed the brand’s now trademark spindle grille and aggressive stance.Lexus has opted to keep the GS design fairly consistent since 2011, with only minor modifications in an attempt to keep the most current family face intact. Oddly, the hodge-podge of old and new in the canvas seems to work; the GS is an attractive sedan that still looks like it belongs in 2018. In more than a few instances, onlookers confused our tester with the more athletic IS.LAG-LADEN TURBOWhat is new for 2018 is the reincarnation of the GS 300 badge. Prior to 2018, this car was known as the GS 200t, a leading indicator for buyers that this version of the car is packing a 2.0-liter four-cylinder instead of a V-6 or V-8 offering. 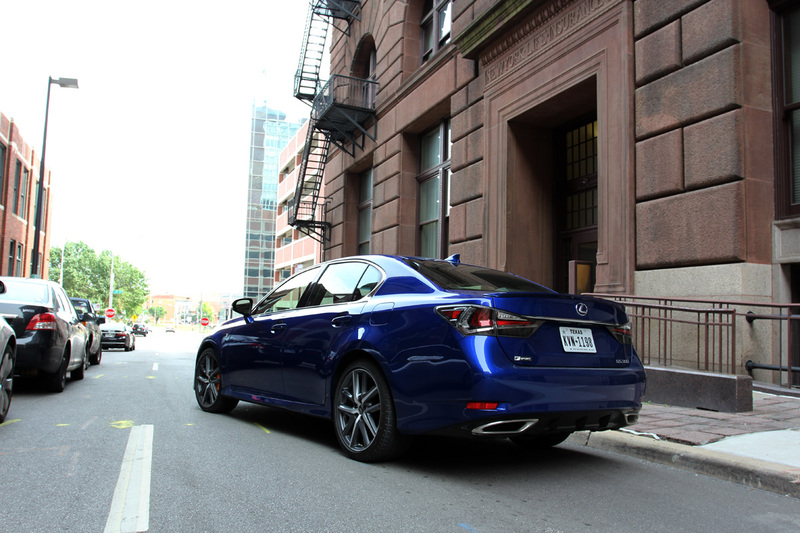 Lexus opted for the name-change to unhighlight the four-cylinder and provide more consistency with the rest of the GS lineup, which ranges from 350 to 470.Pulling the turbocharged 2.0-liter away from the stoplight may not be a bad idea because this is one weak spot on the GS 300. Rated at 240 horsepower and 260 pound-feet of torque, its credentials are respectable on paper and not out line from those of German rivals. However, in application this engine pales in comparison to just about every other 2.0-liter turbo on the market. Off-the-line performance is met with a severe turbo lag as the turbocharger spools up; once the engine is spinning at 1,600 rpm, the car decides to finally move. Once the engine is in its peak torque range, the fairly large GS begins to feel spirited.As an organization Toyota has lagged when it comes to turbocharging (pun intended) and their inexperience with forced induction is readily apparent with this attempt. Get behind the wheel of a Mercedes-Benz 2.0-liter turbo or even a Cadillac with GM’s 2.0-liter and the Lexus’ weakness glows as bright as our tester’s paint.Despite the lag, the engine does not lack in audible refinement. Once spooled up, it sounds as sophisticated as one would expect a Lexus engine to sound. It also works in tandem with an eight-speed automatic transmission that does a good job at keeping its rev range centered where the most torque is on tap. Subsequently, shifts are always butter smooth and in sync with spot-on programming that yield decent performance and excellent fuel economy. Literally, the combination inspires some degree of confidence from the driver; there’s always enough power to achieve respectable mid-range acceleration, something that comes of little shock given the big GS’ relatively light curb weight in the high 3,000-pound range.REFINED, DELIGHTFUL HANDLINGThe mass efficient chassis is actually one of the sweet spots with this sedan. It’s a nimble car with its high-end aluminum suspension setup and a steering rack that provides a nice balance between feedback and weight. That said, Lexus’ steering still feels over-assisted in Sport+ mode when compared to German rivals, but for this car it’s not a deal-breaker by any stretch. 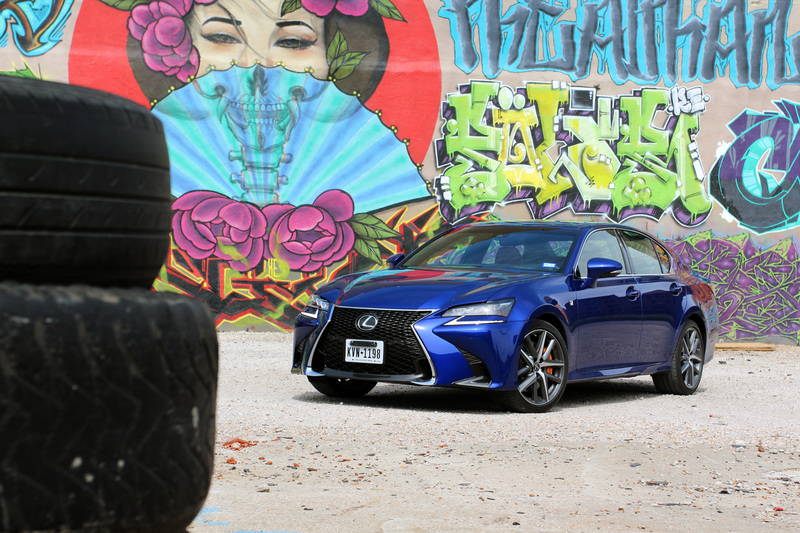 The entire driving experience with the GS 300 provides no-fuss, with an air toward comfort versus sport, which is befitting despite the F-Sport badge.Perhaps ironically, one of the most aggressive aspects of the GS 300 is its braking. The F-Sport package brings 14-inch front rotors with four-piston calipers; more than enough to stop the GS abruptly. They have a strong initial bite and really give the driver a lot of control with great pedal feedback.BALANCED INTERIORWhen not focused on driving dynamics, it’s easy to focus on the interior of the GS. In typical Lexus fashion, the innards of our tester served as a comfortable sanctuary for five who wished to rest atop the stylish red leather seats. The red served as a nice counterbalance to an interior design that is somewhat conservative, but ergonomically sound and spacious for a midsize sedan. Rear seat passengers are enveloped with comfortable seating, HVAC vents and an optional power rear shade.Like every new Lexus, the GS 300 sports Enform, Lexus’ infotainment system. The thesis of Enform is its touchpad controller that uses adaptive haptic feedback to guide the user through feel as to where the cursor is on the screen. While complex to explain, the approach is one that becomes really intuitive over time and proves to be a valid navigation method for the massive 12.3-inch display. This system also drums up the age-old debate as to whether or not giving buyers the option to have a touchscreen with the touchpad control is worthwhile; we’d say yes.Our tester was also packing a few upgrades over the base GS, including a color heads-up display system and a superb Mark Levinson surround sound system with 17 speakers and 825-watts. The sound system proves the perfect companion for the otherwise quiet cabin, while optional ventilated front seats kept things cool in the Midwest summer heat. While the option list is long on the GS, it is missing features such as a power trunk deck, oversized sunroof option and 360-degree camera system. Each of these features is commonplace amongst competitor offerings.BOTTOM LINE The omission of a couple higher-end features can be overlooked by most buyers in this segment, but the 2.0-liter turbo found in the GS 300 cannot be masked by the car’s name-change. It’s a bit of a black-eye on an otherwise very competent, fun-to-drive midsize luxury sedan. The silver lining? For those still wanting a three-box midsize sedan, Lexus also offers very competent V-6 and V-8 engine offerings, which are far better fits for the GS. Summary: A delightful Lexus sedan with a decent value proposition that deserves a better base engine.